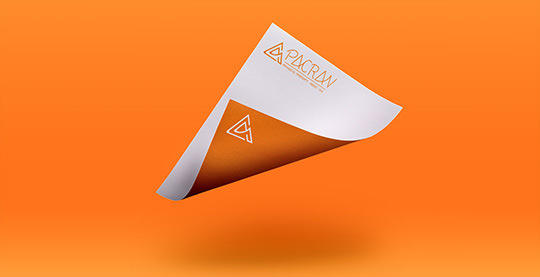 Pacrav branding, shown in multiple ways, a full use in the Pacrav orange on white with a use of the icon alone as a negative with white on the Pacrav orange background. 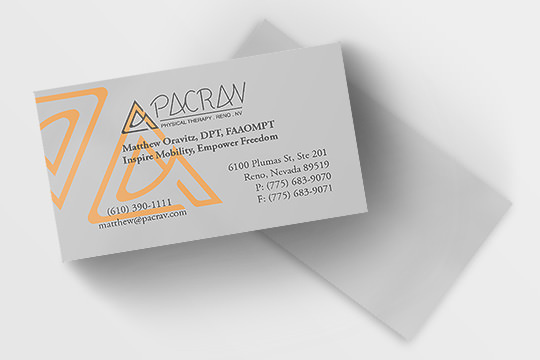 Pacrav business cards use a layering of the icon and the full logo. 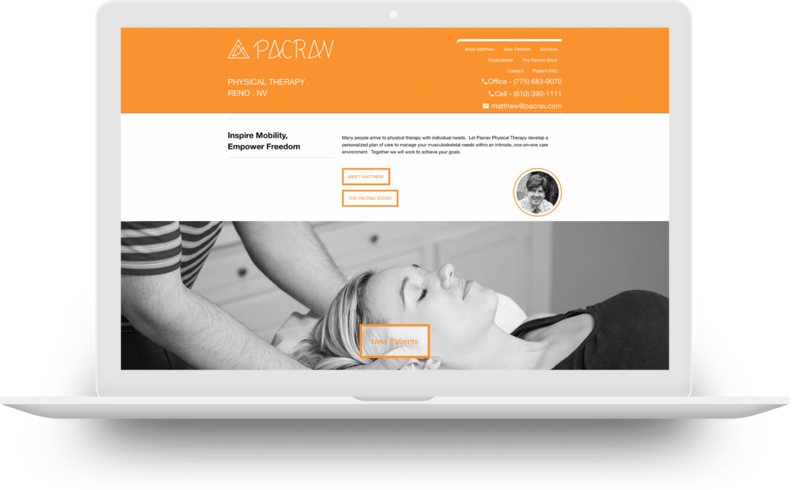 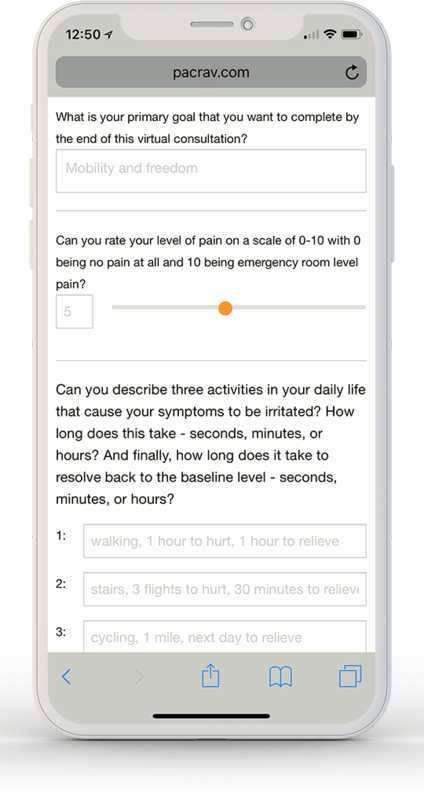 As a simple design we have gone with a one sided design, this also helps to scribble notes for potential patients on the back.